Other candidate titles were "Angry Karaoke in the Middle East", "Wild Bazooka Restaurant" and "Kamikaze Barbarian Farmer", but alas they didn't fit well with the themes. 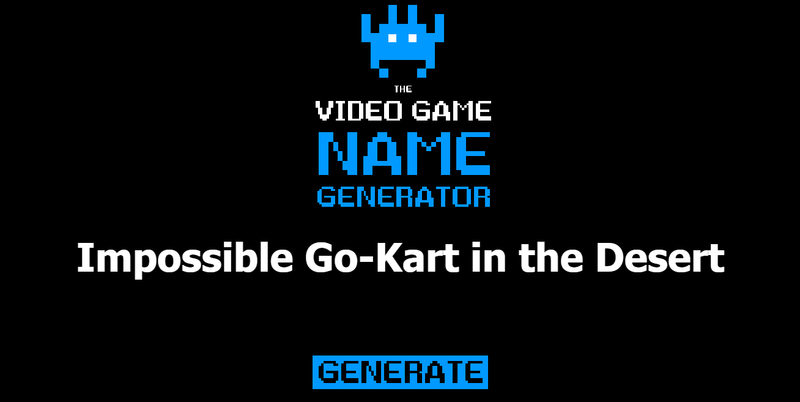 So here we are with Impossible Go-Kart in the Desert. You can play/download the game here. 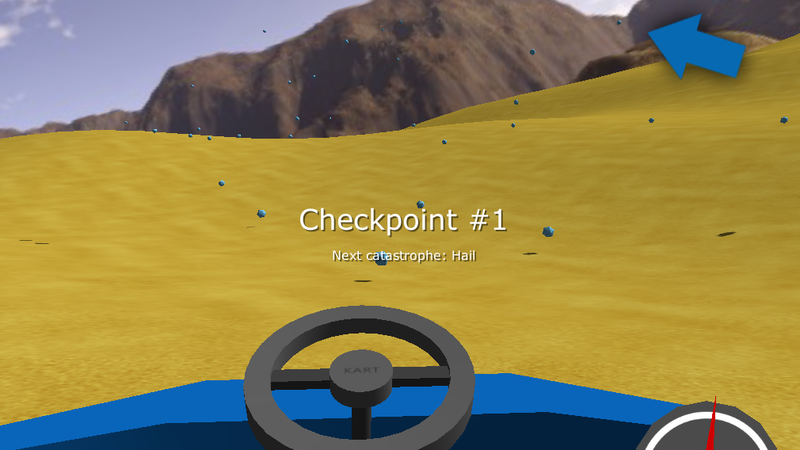 In the game, you drive a go-kart in the middle of an infinite desert. You have to reach certain checkpoints one-by-one, and a new catastrophe unveils each time you do. The game was made during the weekend, and mostly during the nighttime (nobody sleeps during TAGjams). Ergo it may seem a bit rushed, however I am happy with how it turned out. The catastrophes included are very similar due to lack of time. Hopefully I will expand the game a bit to include a bigger variety of fascinating catastrophes. Oh and make sure to check out the 5 other games submitted in the TAGjam20's page, they are pretty awesome.